Take a galloping start, concentrate and sail over the hurdle! Horses compete at the grand show jumping tournament. Winners not only earn roaring applause, they also receive a lovely winner’s ribbon. 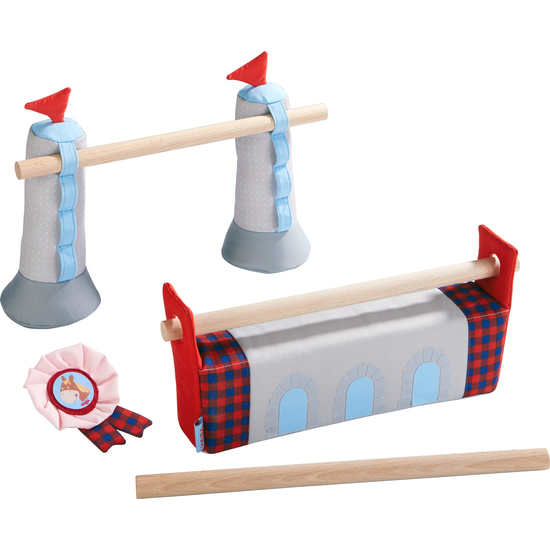 Contents: 2 hurdles, 3 hurdle bars, 1 winner’s ribbon.